With a name meaning Mother Hill, Mam Tor watches over the Peak District with a quiet yet knowing air. Looking over the vale of Edale and the grand “people’s mountain” of Kinder Scout in the north; with Castleton nestled within the Hope Valley in the east. 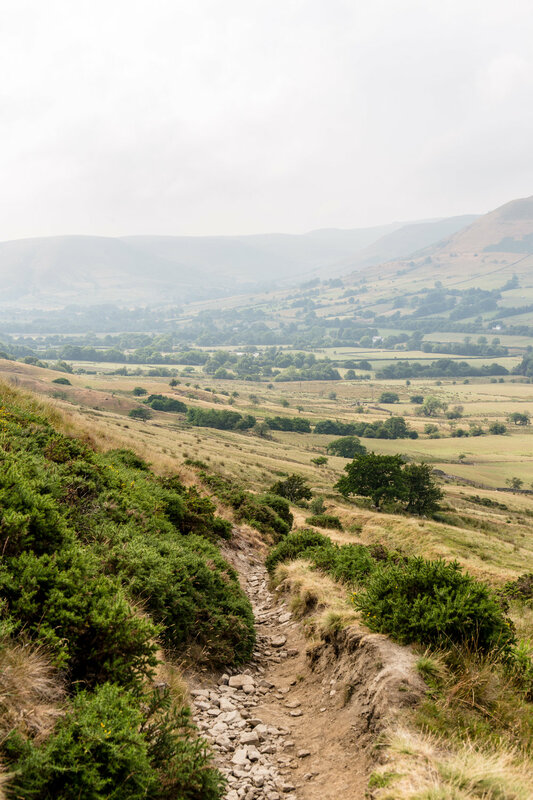 For many, Mam Tor may be their first ever summit; at 517m, it’s just a taste of what’s to come for avid adventurers, with an effort that is certainly rewarded by views at all times of year. 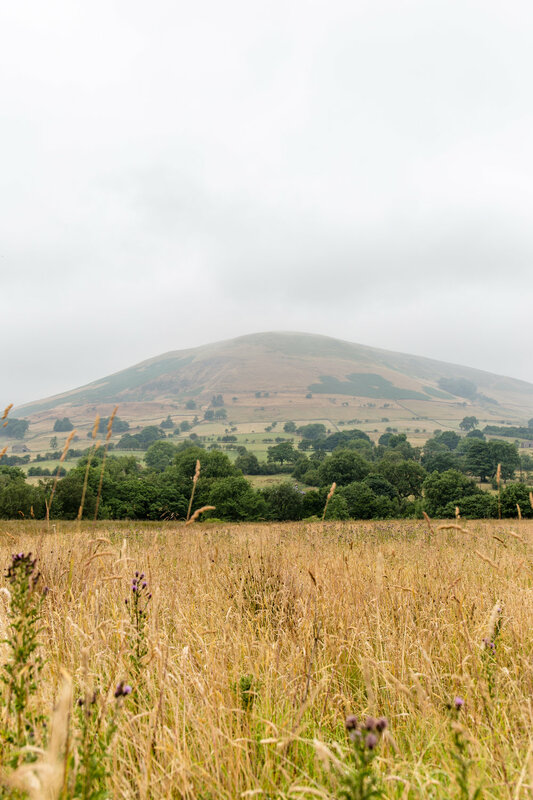 This hike takes us from the quiet village of Edale, to where you can catch a train from either Sheffield or Manchester, or park in the large pay and display carpark in the village. We ramble through farm fields before heading up a rocky track to Hollins Cross, then follow the stunning ridgeline to the summit of Mam Tor. Stop for a picnic with glorious views, before heading down the track that looks onto Kinder Scout and guides you back to Edale. If you have time, add on a loop through lovely Barber Booth, crossing the railway tracks back to the village. Find a downloadable OS Map of the walk here. Read on for the full walking description. When you leave the train station at Edale, turn left and head up towards the village. Pass the Rambler Inn on the left, with a big beer garden and outdoor seating, and the Peak Visitor Centre on the right, where you can use the toilet, grab a map or an ice cream before beginning the hike. When you reach the church on your left and graveyard on your right, take the gate on the right that heads down through the trees to a bridge. Cross the bridge and head back up to a gate and signpost, where the path splits. Take the track on the right that heads diagonally across fields. You’ll pass an old sheepfold (likely with a number of sheep snoozing outside it) and head under a railway bridge, following the path until you reach the road. Once at the road, cross over and keep following the signs towards Hollins Cross. You’ll cross another bridge, head through a gate, pass a farm on your left and a number of barns on your right as you start the climb up to Hollins Cross. 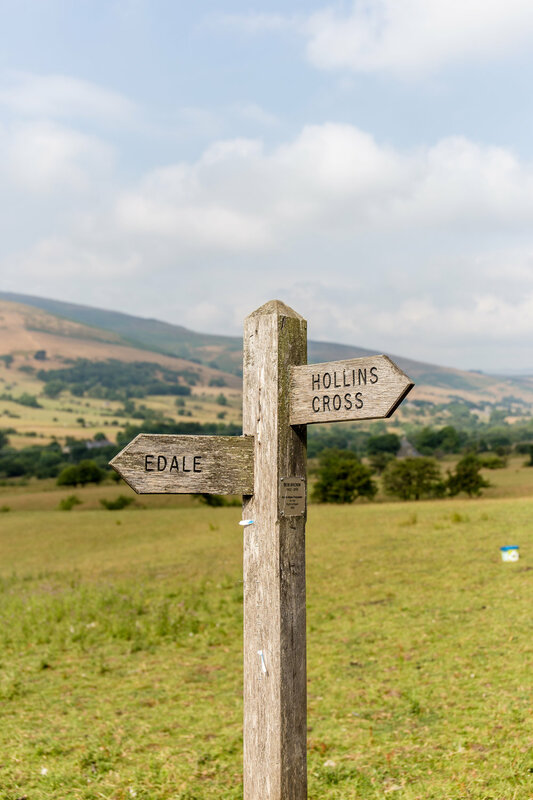 Keep turning around, as views down to the vale of Edale are stunning, with mighty Kinder Scout looking over a cross-cross landscape of farm fields and undulating hills, with the railway line running right through the centre of it. Hollins Cross is where around five paths meet. To the left is Lose Hill, straight on will head to Castleton, but it is the right-hand path that you now want to take. When you turn right, you will carry on ascending the ridgeline to the summit of Mam Tor. 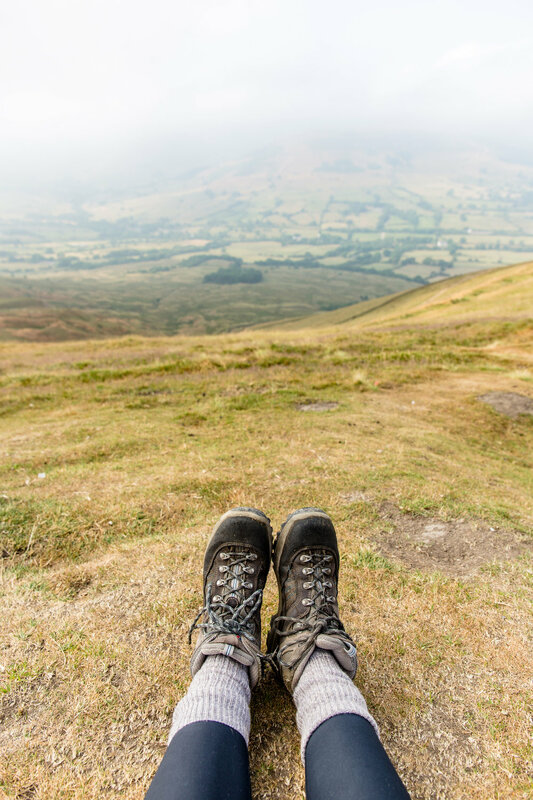 Make sure you take in views from all angles on the ridge, as the higher you climb, the better the view becomes looking back to Lose Hill and surrounding peaks. The summit of Mam Tor is a large, rounded mound, marked with a summit post that shows a compass of the surrounding area. 360 degree views are glorious, and this is the perfect place to sit down and have a bite to eat. It’s all downhill from here! The descent from the summit is fairly quick and easy to follow, but still has lovely views over to Kinder Scout. From Mam Tor, head down the obvious stairway, turning right just before reaching the fence. This leads round to an obvious track that you can follow all the way to a crossroads where three tracks and a road meet. Head through the gate on the left and down the road that leads all the way back to Edale. The road is quiet as it is only one-way to a couple of houses, but be aware that the odd car may still be heading up! 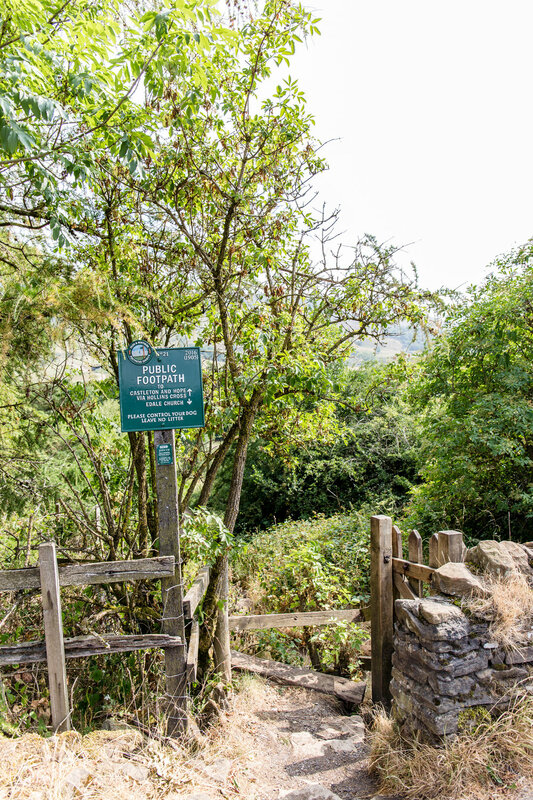 Once in Edale, head to Cooper’s Cafe for a no-frills lunch, either the Rambler Inn or the Old Nag's Head for a pint and pub lunch, or the National Trust Penny Pot cafe for a coffee and slice of cake, before heading back home. If you find yourself descending with a little more energy and a desire to see more, here’s an extension to the route that adds on around one mile of flat terrain. When heading down the road, you will notice a gate on the left just as the road curves to the right. Head through this gate and ramble through the fields, following the public footpath signs. This should be relatively straightforward, and heads diagonally down to the road at the foot of Mam Tor. Cross the road, ignore the track on the left, but head up towards the village of Barber Booth, which you will identify by houses. Wander through the tiny village before taking another footpath that heads straight along a track. When you reach the railway bridge, there is a lovely view looking out at the railway line and surrounding hills. Just after, head right and ramble across a number of fields, through gates and over stiles, following the public footpath signs to Edale. When you reach the road, turn right to return to the train station. 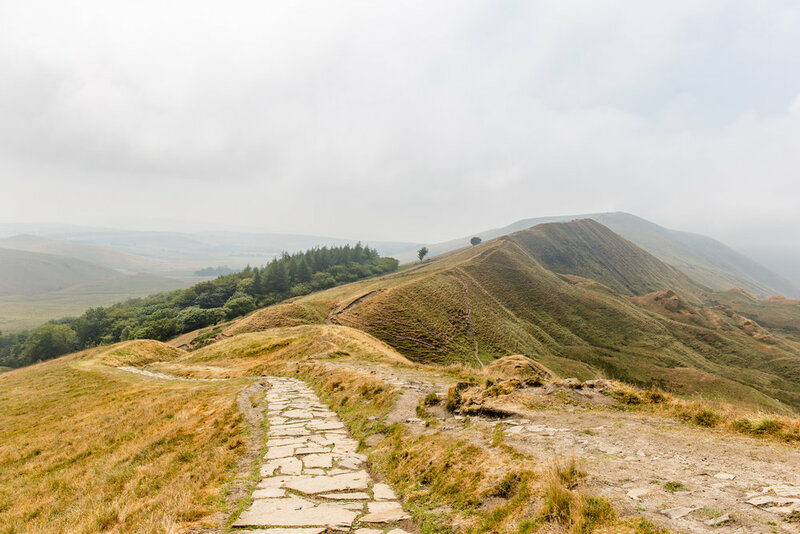 This route up to Mam Tor is the perfect way to get to know the Peak District, and a hike that we can do over and over again and never get bored - as the changing seasons, flora and fauna make it different every time. Find the OS Map to the short route here. Find the route with the Barber Booth extension here.